On April 10, 2017, #Singasong was born! What began as a simple tweet (â€œWhat would happen if we all sang a song together?â€�) grew to an unbelievable movement! Soon after I shared the Grid and the songs began to pour in! I thought it would only last a couple of weeks. I was wrong! Fast forward to today and there have been over 600 hours of songs by teachers and students all over the world! Now itâ€™s your turn to join in. 4. 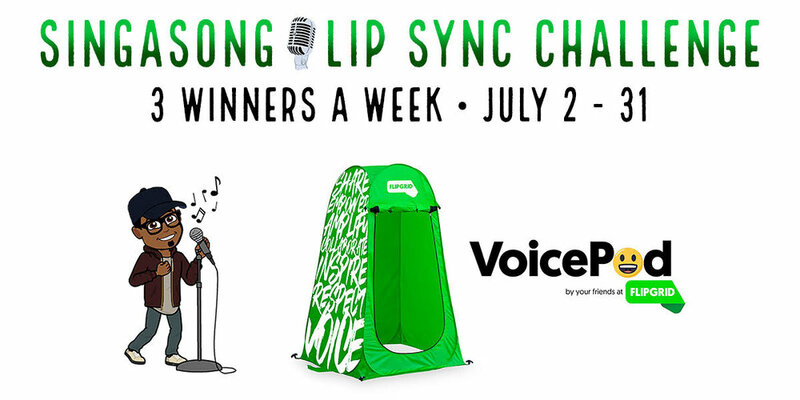 Join us at FlipgridLIVE Karaoke on July 31 for a final, grand showdown! Get your songs, costumes, and props ready! Remember, no need to sing; itâ€™s all lip sync. Canâ€™t wait to see what you all come up with!